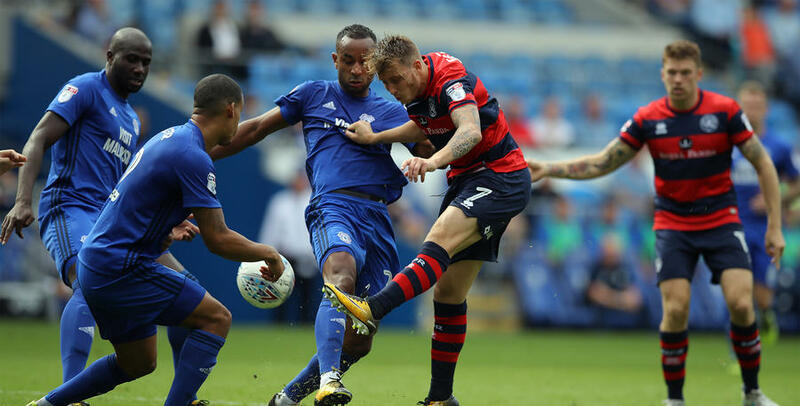 Despite taking the lead at the Cardiff City Stadium through Matt Smith, QPR went down 2-1 to the Bluebirds, with Junior Hoilett and Sol Bamba getting on the scoresheet for Neil Warnock’s side. Rangers went ahead on 15 minutes with a brilliant header from Smith after he was picked out by Luke Freeman. But just seven minutes later, an under-hit backpass led Alex Smithies to hit his clearance at Junior Hoilett, and the ball deflected into the back of the R’s net for the leveller. As the first half looked to be coming to a close, the hosts took the lead when Bamba headed home Hoilett’s corner at the far post, and that proved to be the winner. Ian Holloway made nine changes from the side that lost in midweek to Brentford in the Carabao Cup. It meant Alex Smithies returned between the posts, while Steven Caulker and Darnell Furling kept their places in the side, joining Nedum Onuoha in the centre of defence. Jake Bidwell operated on the left with Jamie Mackie starting on the right. Mass Luongo, Freeman and Josh Scowen returned to the centre of midfield, with Smith partnering Conor Washington in attack. 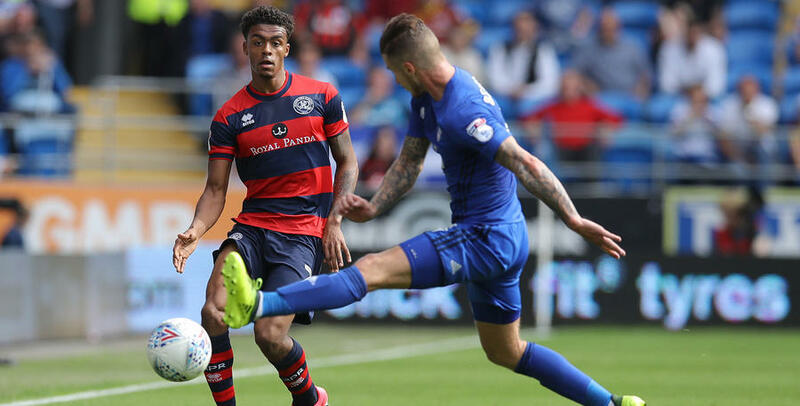 Warnock was looking for his table-topping Bluebirds to continue their 100 per cent start in the Championship with victory number five, and their first sight of goal came in the ninth minute when a long throw from the left fell at the feet of Kenneth Zohore but the Cardiff forward was only able to stab the ball wide. 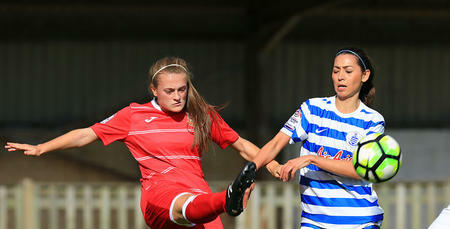 But in the 15th minute Smith headed the R’s into the lead. Freeman picked up possession in the centre of the park and after allowing Bidwell’s run down the left to give him space, Freeman stood the ball up to the far post for Smith to head brilliantly beyond Neil Etheridge. It was an excellently-worked goal, but Cardiff aren’t top of the league without reason and they almost found a quick equaliser when Hoilett found space on the edge of the box, but the former QPR man’s turn and shot was comfortably gathered by Smithies. But on 22 minutes they were level when Onuoha’s back pass to Smithies forced the keeper to try to clear his lines under pressure from Hoilett, and his clearance hit the Canada international and rolled into the back of the net. And moments later, it was Hoilett again causing the R’s problems, as this time he saw his shot from 18 yards tipped around the post by Smithies. At the other end of the pitch, some brilliant battling by Mackie created a great opportunity for Luongo on the edge of the box, but his shot was blocked. Cardiff had enjoyed a sustained period of pressure following their equaliser, but the Rangers players gradually got themselves back into the game as they fought brilliantly for each other in a white-hot atmosphere at the Cardiff City Stadium. In the 41st minute Mackie so nearly restored Rangers’ lead. Scowen’s initial delivery fell to the R’s man on the edge of the area and he took his time before curling a beautiful shot beyond Etheridge, but it hit the post, to Mackie’s obvious frustration. The Bluebirds responded by almost getting their second of the afternoon, and would have done so but for a brilliant save from Smithies, who tipped Nathaniel Mendez-Laing’s shot around the post. But from the resulting corner, Cardiff did take the lead. Hoilett’s set-piece to the far post was met by Bamba who headed the ball down and into the back of the QPR net in the 45th minute. Three minutes after the restart, the hosts through they had doubled their lead through Hoilett when he bundled the ball over the line from close range but the referee ruled it out for a push on Furlong. It was a huge relief for the R’s faithful, while the Bluebirds fans were enraged by the decision. But Cardiff went close again in the 51st minute when Lee Peltier slammed the ball against the crossbar from a tight angle, with QPR looking to do all they could to stay in this contest. On the hour, Holloway replaced Mackie with Idrissa Sylla as he tried to change the flow of the game in south Wales. Joe Ralls also went close for the hosts, but his drive from 15 yards was straight at Smithies. Holloway made his second substitution with 20 minutes remaining, bringing on Yeni Ngbakoto for Washington, and that was swiftly followed by the final change, with Pawel Wszolek replacing Steven Caulker. On 76 minutes, Rangers were grateful to Smithies for keeping them in this contest as he pulled off a stunning one-handed save to deny Zohore from close range after Mendez-Laing had squared the ball for his team-mate to tap home. Smithies has pulled off some incredible saves during his QPR career, and this one might have been his best yet. Substitute Danny Ward almost added a third late on while Rangers came so close to an injury-time leveller following a goalmouth scramble but Ngbakoto was unable to get the vital touch from close range as the ball bobbled past the post. In the end, Cardiff saw the game out to remain top of the Championship. HERE are the main talking points from QPR's narrow loss at the Cardiff City Stadium.